CLICK HERE to display the Webpage for Conference Events 2006. 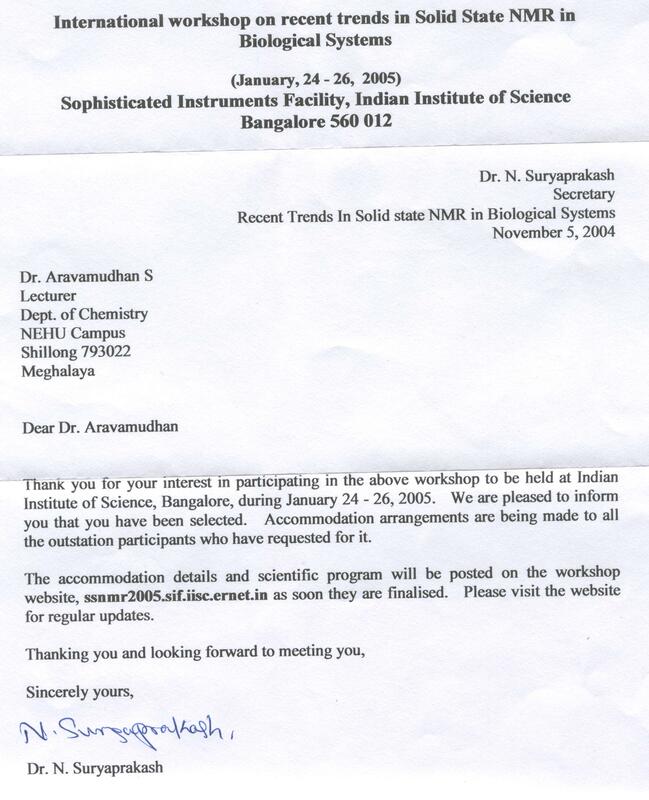 Thank you for your interest and for registering for the �International Workshop on Biomedical MR�. The arrangements for the workshop are in full swing and we hope that everyone will have fruitful scientific deliberations with about 30 speakers from aboard and India including Prof. Richard R. Ernst, Nobel Laureate from Switzerland. We are happy that the organizing committee would be able to provide you second class sleeper fare (both ways) to participate in the workshop. For those student participants (and few others) whom the organizers are providing the II class sleeper fare (both ways) to participate in the workshop, are requested to send to the Convener a a Xerox copy of their ticketalong with a covering letter requesting travel support,immediately or by January 05, 2005. Aruna Asaf Ali Marg, New Delhi-110 067. Please NOTE that you should reach your place of accommodation on your own.No arrangements for pick up from railway station or from the airport have been arranged. to be held between 16 and 21 January, 2005 in Hyderabad, India. From: "Int.Conf.on Mag.Resonance ICMRBS Biological Systems." I am happy to share with you that the following abstract is adjudged for poster presentation. CLICK HERE to display Abstractand from here CLICK to display 'view poster site'. The size of the poster can be 95 cm in width and 100 to 120 cm in length. All the posters will be on from Monday through Thursday. There will be three poster sessions: Monday (Jan 17), Tuesday (Jan 18) and Thursday(Jan 20) from 2:00 to 4:00 pm. All odd numbered posters will be viewed and discussed on Monday (Jan 17) and all even numbered posters will be viewed and discussed on Thursday (Jan 20). Please visit http://www.tifr.res.in/~icmrbs/ for more information on the Conference - please forward this web address to any interested colleagues. We have received the hard copy of your abstract along with DD. I am glad to inform you that your abstract entitled: "Shielding by.................calculations". has been selected for POSTER presentation at the symposium . Contacts : Professor P.B.Vidyasagar, Department of Physics, University of Pune, Pune 411007. Tel : 020 25692678. Email: ibs_2005@physics.unipune.ernet.in.